Composing Comfortable Void was 'a real struggle for me', said Daniel Segerstad in a 2012 interview, 'the album changed shape two or maybe even three times. When I found the path, and actually gave it the title Comfortable Void things started to fall into place. (...) The outcome sounds nothing like I initially intended, and it's probably for the best'. This Sync24 album is heavily inspired by the very moments when Segerstad was in 'a state of inner peace, when I find myself in my studio without distractions and it feels like I become one with my equipment. And I finally managed to put words to that feeling, to me it's a Comfortable Void.' Originally intended to be an uptempo album, Comfortable Void ended up being another perfect ambient/psybient piece by one of Carbon Based Lifeforms two halves, where tracks recall battle droids ('Nanites'), dreams set in a concrete maze ('Oomph') and a whole range of diverse ideas and concepts. 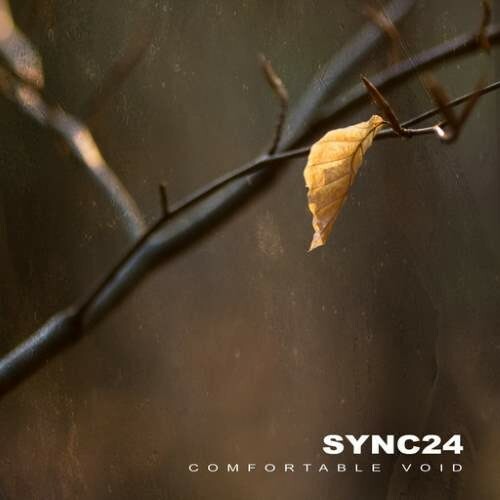 Named as one of the best electronic/ambient albums of the year by several online mags, Sync24 sophomore full-length was released on CD in 2012, and has been out of print since, hence here at Sidereal we thought it would be best not only giving it a new CD edition, but also making it available on wax for the first time ever.